Lilabelle Lane: Not quite like the original! Not quite like the original! As you know I have started to work on this pattern. 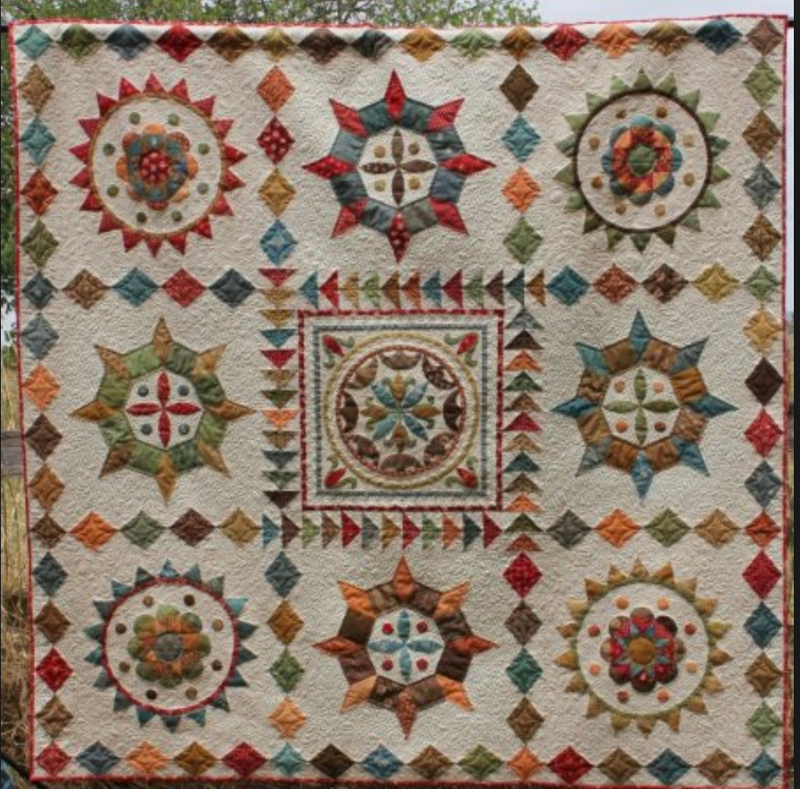 This is one of the two original quilts. It has taken me all weekend and worn out my little helper in the process. Such a huge buzz when whats in your head takes shape on the floor. Even more of a buzz when you can raid your scrap containers. and get to work on the centers of those scrappy panels. It's going to be amazing. I just scrolled down through your blog, and I see a lot of amazing stuff happening. I would never attempt most of the things you are working on, but I will certainly admire yours. Wow - amazing progress and so cool that you really are making it your own!! Looking forwrd to seeing your take on the applique. I bet with all that sewing you were wanting to curl up in a corner too! It's going to be beautiful! However, I'm trying to figure out where it tessellates. 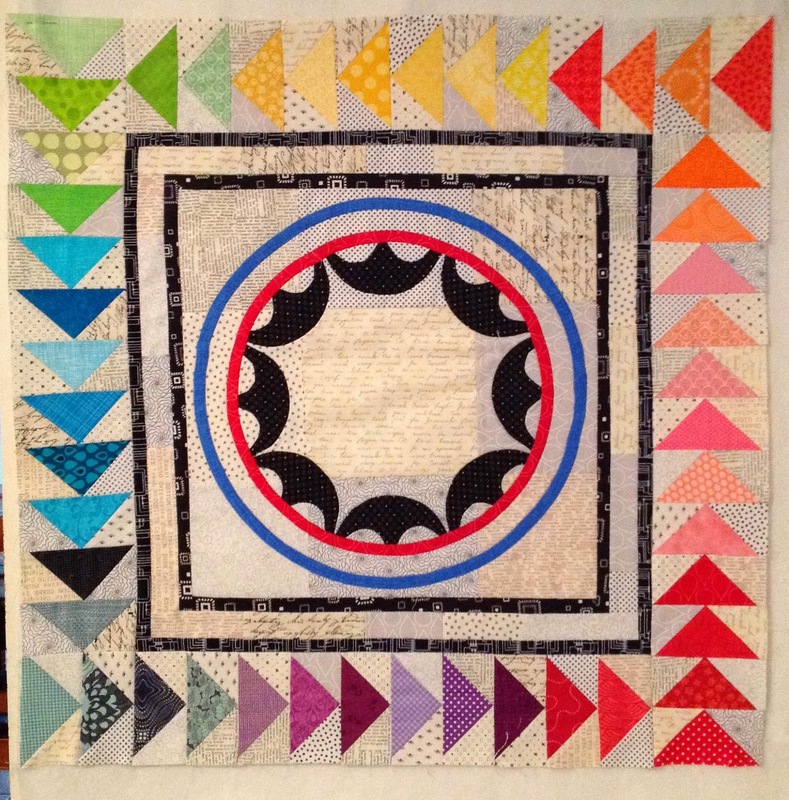 Hi Dora, the quilt is inspired by antique tessellate tiles. Sharon's bright colours are amazing. Awesome quilt on the go. Such lovely sunny colours. Gosh it's looking gorgeous! Look forward to seeing more. I like your slightly different version & it will be stunning once complete. Great weekends effort I think! 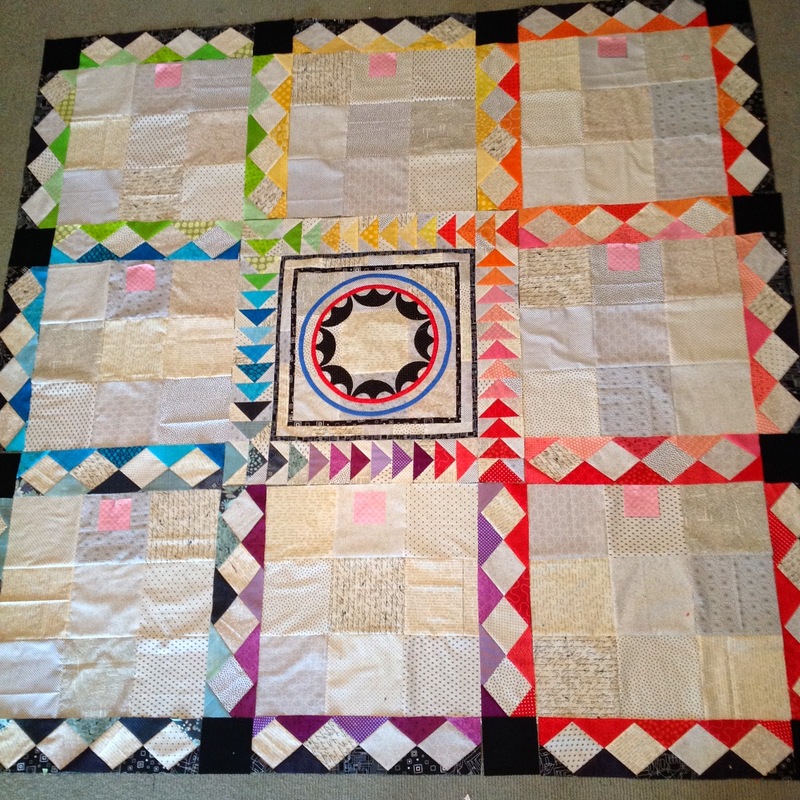 This quilt is looking gorgeous and Miss Lily looks exhausted lol, hope she's feeling a bit more chipper today :) Barb. 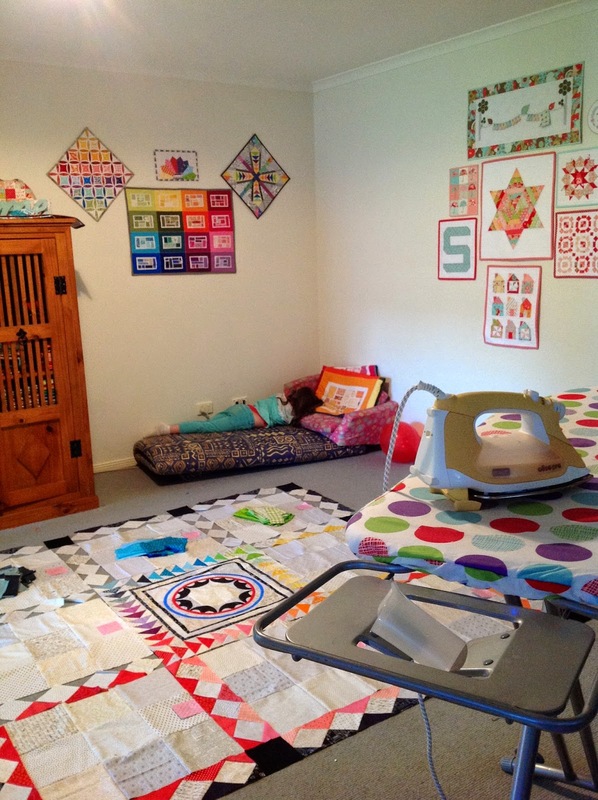 Your quilt is coming along nicely, Sharon. It hasn't taken you long to get stuck into this one! It's looking really good. Really love the way you've done the low volume backgrounds. You have lots done already. Looking great! Sharon, your Tessellate is looking wonderful. We are loving watching it come together. Love seeing other people's spin on our designs.